"I have no hesitation in recommending Toucan as a valued and trusted partner." 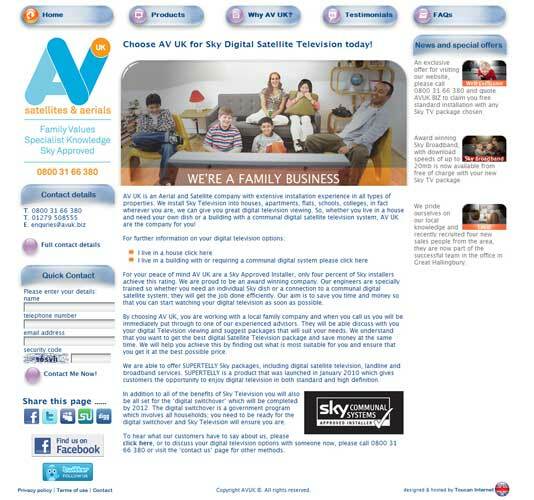 Fully comprehensive website explaining the full services that AVUK Satellite and Aerials offer. Includes social medial interaction both to and from the client and visitors.